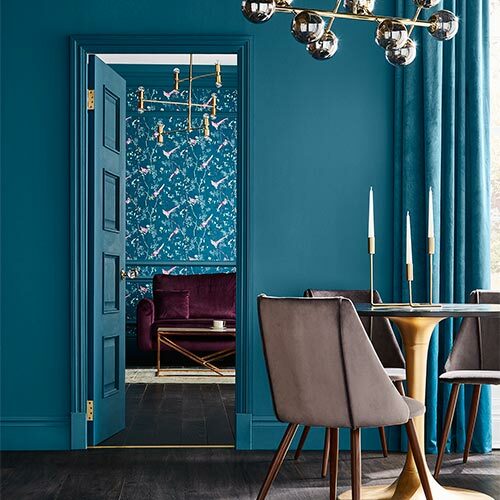 We’ve searched through our extensive collection of designer wallpapers to select five that we think will make the perfect accompaniment to a trend-setting, modern living space. 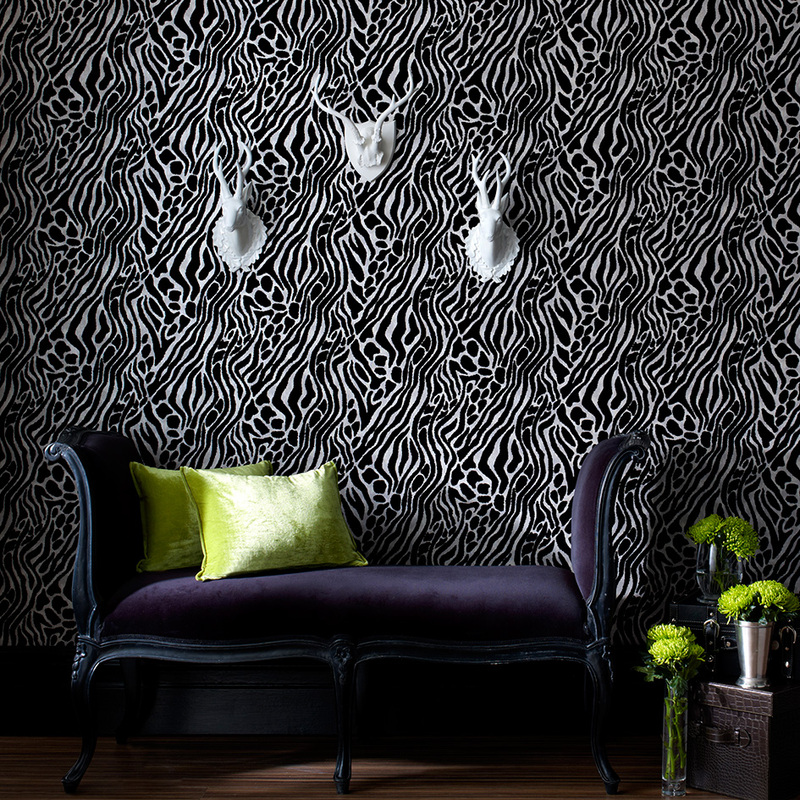 The ultimate in cheeky ‘70s chintz, Julien Macdonald takes a classic animal print and gives it a modern twist in black and white, for a zebra-effect designer wallpaper that will look outstanding in any room with a vintage, retro feel. Use Easy Tiger on all four walls to create a distinctive look that really demonstrates your wild side. The perfect choice for fashionistas and trendy femme fatales, this eccentric modern wallpaper design from the ever-inventive Barbara Hulanicki features a motif of exquisitely illustrated ladies’ shoes in red against a background of white and pale pink stripes. Shoes is the ultimate feminine wallpaper design for the girl who loves shoes, and – as Hulanicki herself says – “Every girl loves shoes!" If you’re looking for daring designer wallcoverings, the fabulous Kelly Hoppen has got everything you could possibly need. Take her Knightsbridge Flock Noir wallpaper for example. 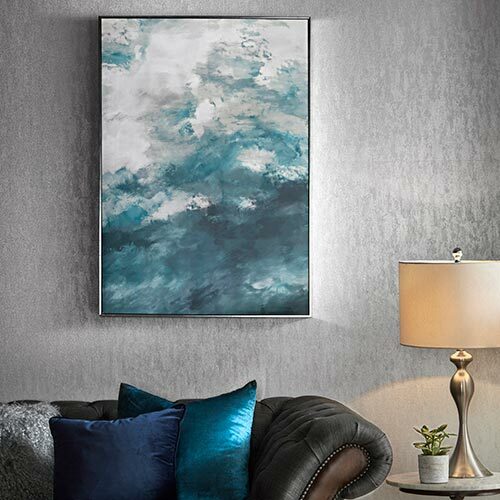 With a shimmering metallic background, this design oozes class, and will look wonderful in as a bedroom wallpaper or living room wallpaper. This decadent designer flock wallpaper is perfect for those of you who are trying to create a warm, inviting ambience in your home. And let’s face it, who isn’t?! So there you have it. 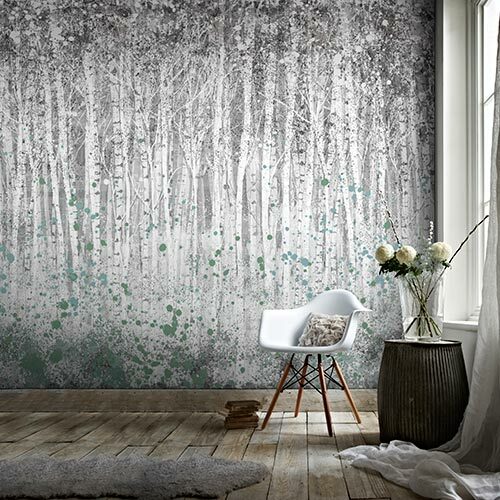 Three modern designer wallpapers from some of the biggest names in the business. 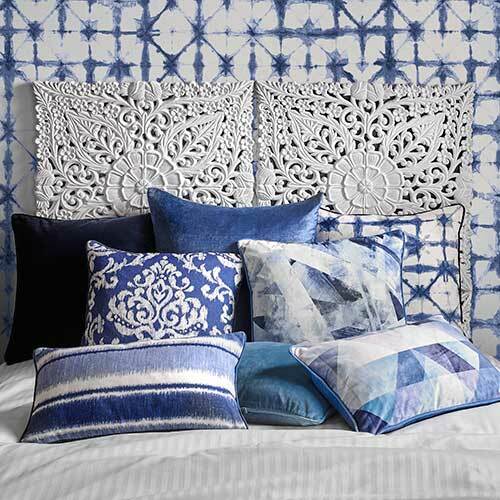 Whether it’s our clothes, furniture or indeed our wall decorations, we all like to stay up to date with the latest fashion, and if you buy products from the aforementioned wallpaper designers, you’re guaranteed to be on trend. 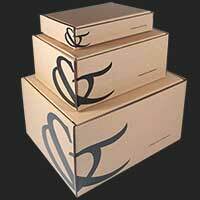 We’ve merely scratched the surface here, and you can find out more about our extensive range of designer wallpaper.